You have dreams of becoming an actor and doing TV commercials. You want to become instantly recognizable as Flo – or at least being featured in national commercial campaigns. You’ve got dreams, and you’re determined to achieve them. So you take a commercial workshop and study Improvization, take great headshot, create an impressive resume and cover letter then send your package to all the commercial talent agents. If and when you sign up with a commercial agent. You eagerly wait for all your commercial auditions – but maybe you only get a few,. If this sounds familiar, it might sound like auditioning for commercial could come down to luck. But there’s actually one simple way that you should be able could get more commercial auditions if you are right for the spot. It’s so simple, in fact, you could make that small change as soon as you finish reading this article. It goes without saying that your resume provides agents and casting directors the opportunity to get to know more about you. That means you need to capture their attention within the first couple of seconds, or else they’ll just shuffle your resume into the “Rejected” pile. You don’t have to add perfume to your resume, or create it using an unusual typography. Instead, focus on your skills section, and ensure you stand out as a multi-faceted, talented, and unique individual. Because so many commercials require skills and activities, your special skills are definitely an asset. Your skills section should be filled with the hobbies, skills, and traits that make you who you are as a person. Your hobbies could run the gamut from horseback riding and playing computer games to speaking multiple languages and creating stories for your favorite fanfiction site. No matter what makes you unique, it’s important to broadcast these skills and hobbies so casting directors can bring you in for those commercials that require your skill. When listing your skills and hobbies, be sure to indicate your proficiency level. For example, if you’re fluent in French, make sure you include that information. If you’ve ever won first place or have been a state champion in an event, put that information down, too. One important note: when listing out your skills, make sure to list those you are the strongest first. If you’re an excellent singer, put that information first, and be sure to list your range. Your first few skills are going to capture the most attention, so make sure they’re the strongest representation of who you are as a person. Just make this small change to your skills section – and depending on the jobs, you should be getting more commercial auditions for jobs you have a better chance at booking. For more detailed information on putting together your resume, check out Carolyne Barry’s book HIT THE GROUND RUNNING here. I always suggest that actors take Improvisation workshop either before, during or immediately after they take a commercial class and/or acting class. It is important in the development of your acting craft. The freedom and confidence you get from studying Improv well will be very helpful to do better Commercial and Theatrical auditions and thus help you start booking jobs. Also, so many auditions today do not have dialogue and require Improv skills therefore commercial agents are more interested in actors (especially new actors) who have professionally studied improvisation because agents know that it will be easier to them auditions. I strongly suggest you find a teacher or institution that specializes in Improvisation. A lot of studios mix in the Improv training with acting, commercial and cold-reading. This is not really offering the maximum value of studying Improvisation. Then, some teachers offer it as an on-going class. There are several problems with this format. You won’t be able to continually build on your progress when you are constantly going back to the basics when new people start. Improv classes work best when it is a nurturing, supportive environment which is difficult to establish when it is not a unified group for a prolonged period of time. It is difficult to move up the ladder of the more challenging games and technique when everyone isn’t on the same level. I strongly believe that Improvisation should be a second training workshop along with your acting class or commercial workshop. 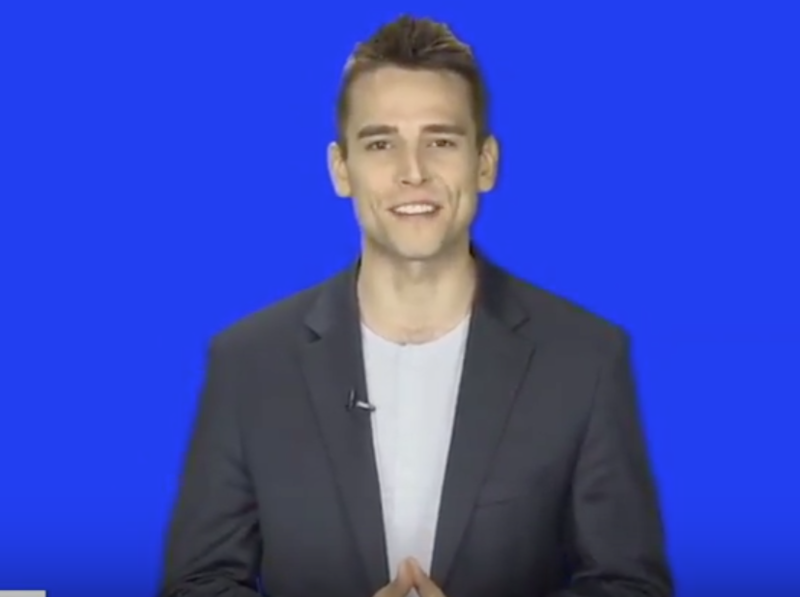 Your acting or audition training is focused on the techniques specific to whatever discipline of training you choose – motivation, emotional connection, subtext, character life, pre-life and after-life, etc. Whereas strong improvisation training focuses on creativity, commitment, listening, trusting instincts, supporting the other actor and building confidence. When both acting or audition training and Improv are studied at the same time, you will get more out of your technique class and you will be ready to start auditioning sooner. If you’re like to learn more about how Carolyne Barry can help you improve your acting skills leave her a note here or call 323-654-2212. I believe one of the big mistakes many actors make is not being clear on their type (or as often referred to as a brand). Most believe that they “are actors and can play many roles”. In a majority of theatre productions, you can because of the distance between the actor and audience. But on-camera, which is more intimate, who you really are and what your look represents is obvious and there is usually no hiding behind character make-up and wardrobe. Although it can be vital to your success, for booking commercials as well as theatrical work (especially when first starting a career), most don’t give determining their type the time needed to figure it out. When you know your type/brand: you can shoot headshots that better serve you, intelligently describe yourself to your representation, and submit yourself for roles that you have a better chance at getting. Knowing your type can be very important, but how do you determine what it is? It is not easy for most. You may need help from others because it is difficult to be objective about ourselves. Most actors tend to label themselves as more or less than how they choose to see themselves. That is why it is important to investigate. If you’re like to learn more about which acting type you are and what the best classes to take are leave us a message here or call 323-654-2212. So many actors choose their acting teachers for the wrong reasons: either they select one who is less money, offering some kind of deal, located close to where they live, recommended by unqualified sources, they know actors in the class or ONLY because the teacher is or has been a casting director. These are not good reasons for such an important decision. There are numerous acting techniques and methods. The more popular ones in the United States are Meisner, Strasberg, Adler and Hagen techniques. Most teachers have their own version of the established approaches. Some combine styles and others create their own technique. Investigate to see which one feels like a fit for you – the way you process and create. Audit AUDIT: As it relates to acting classes: to be a non-participating observer. Auditors watch and are not allowed to work, ask question or give comments. * Does their style or approach make sense and appeal to you? * Is there a technique that the students understand and can apply or is he/she just teaching tricks or giving direction that produces flashy, instant performances? * After he/she works with actors, do you see an improvement in their work? * Is the teacher constructive and supportive as he/she critiques and directs students? Determine if his/her’s personality and style is a fit for who you are and what you need from them for the development of your craft. After you audit at least three candidates then make your selection of the teacher who can help make you the best you can be and the one you can see yourself staying with till you get everything you need- before moving on. For commercial and Improvization classes, it can be a few months and for acting it can be several years. The teachers you choose to train with will be a major influence in the development of your craft and thus will have a strong impact on your career. Don’t be one of those reckless actors who wastes money and time going in the wrong direction. Be in control of your career and those you are assembling for your team. CHOOSE WISELY. 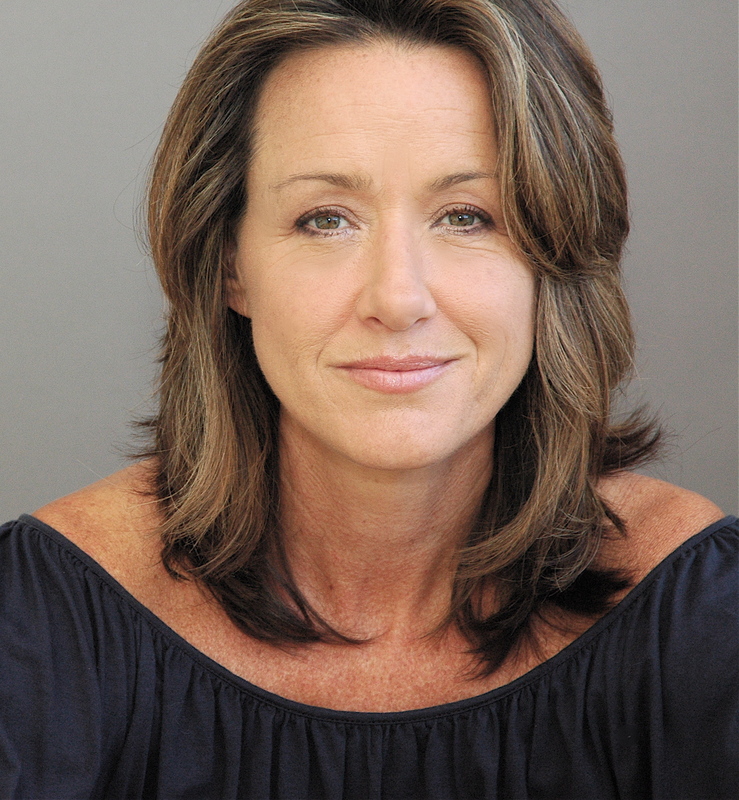 If you’re like to learn more about how Carolyne Barry can help your acting career then get in touch with her here or call 323-654-2212. 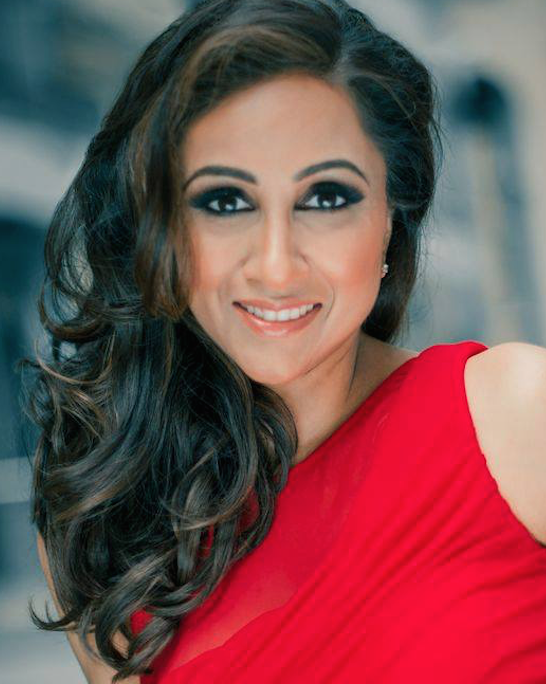 I am sure you have wanted to know why you do not book Commercials when you feel you have done a great audition (and even when those running the session have let you know you did a great audition). You might get an avail or are put on “Hold” but then you don’t book the job. It can be very frustrating. Often there is no definitive reason so I believe it would be helpful for you to understand some of the business and subjective factors being considered that often have little to do with you, your talent or your audition. Other Way To Go: When the commercial CD gets the breakdown and selects the actors for their session, many get creative and add actors who are “another way to go” for the role. And often, some of these actors could change the direction of the casting. Role is cut or changed: When watching the casting, the director and/or advertising executives might determine that a part is not working and then could cut it out, replace it with another role or choose to go with a different type of actor. Matching: When casting a spot with multiple actors, the matching or pairings need to look like they could be couples, friends, workers or a family. And yet in a group of friends, office employees, neighbors, etc., it is preferred those cast be of different ethnicities, physical types or hair color – because many commercials need to appeal to various groups of people. Identifiable and Aspirational: Commercials need to appeal to target markets. The actors cast in the spot must be people that those the spot is designed for will find aspirational or will identify with. And thus is a major factor in the casting. This is why casting specs are pretty specific as to age, gender, ethnicity and physical types. Then, because these considerations are often subjective, each group of people doing the casting and various target markets could create diverse factors that would make different actors identifiable and/or aspirational for various products. Chemistry: When matching couples, families, friends, workers, etc., they need to work well together and have a chemistry that creates the feeling that they belong together. And it is something that is there or it is not and it too is subjective. Compromise: Those doing the casting are not always in agreement on who they like in a role. In that case, so that no one looks bad, they may choose another actor (who might not be as good or as right). It happens. Personal Preference: Directors and advertising execs are human and have preferences. Sometimes actors might remind one of someone they like or don’t like or another actor that may be too recognizable. Casting preferences can work for an actor or against them. Knowing these factors should help you understand that when you believe you have done a great audition why you may not book the job. I know it is frustrating and seems unfair but realize that these same factors that might work against you for one job might work in your favor for others. And in order for you not to take it personal and to protect your confidence, I suggest that you remember this, “You didn’t lose the commercial, someone else booked it” – this time. For our commercial acting class schedule click here. If you’re like to learn more about how Carolyne Barry’s classes can help you as an actor get in touch with her here or call 323-654-2212. In the acting business, actors must have confidence in their talents and themselves in order to deal with the challenges and always be able to bring their best game to their meetings, auditions and work. Confidence is an essential “personal tool” for everyone but especially for actors and performers. The more you do anything, the more experienced and skillful you become. So the more you properly study, rehearse, audition and work, the better actor you are going to be. Actors gain confidence when they have successes and “wins”: when they get auditions, secure representation, receive good feedback or reviews, get callbacks and book jobs, etc. Unfortunately, these successes are dependent on the acceptance of others thus it is unreliable and a shortage of achievements can undermine it. Confidence in your talent is powerful and depends mainly on your willingness to take chances, fail, learn, get up and do it again AND always be supportive of yourself. A great class that helps build confidence is a professional Improvization workshop. With confidence developed through challenging experiences, you are not dependent on anyone else to feel successful. Do what it takes to build your confidence. It should have a powerful affect on your ability to feel good about yourself, thus do your best auditions and your best acting work. For more commercial acting tips check out this article. If you’re like to learn more about how Carolyne Barry can help you build confidence then get in touch with her here or call 323-654-2212. If you’re an actor looking to book regular gigs, you’ll find that commercial acting can be very rewarding – not to mention lucrative! From local commercials to massive nationwide campaigns, commercials can provide your acting career with a significant launching pad. 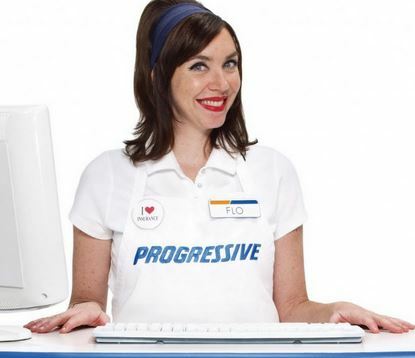 What’s more, many commercial actors are as famous as beloved movie stars; just take a look at the meteoric rise of Flo, the Progressive mascot, for an example. Make sure you arrive as early as possible. This gives you time to prepare – and it also lets casting directors know that you take their time and efforts seriously. Trust us – they notice when you arrive late and flustered. Ask plenty of questions to ensure you get the right tone. Every commercial has a style that they’d like to achieve. If you align your audition with this style, you’re more likely to land the part. Work on a few interpretations, as this can come in handy if the casting director wants you to try something different. This also displays your range and skill, which can help you impress casting directors. Even if you don’t get this specific role, they may keep you in mind for another part. Find a partner who you can rehearse with. Whether you want to run lines with your spouse or your roommate, having a partner to rehearse with can help you prep for the auditioning process. Stay out of your own head, especially if you tend to work yourself up before the audition. Building up your nerves will only undermine your commercial audition. Arrive early enough so you can take a few minutes to “zen out.” Take a few deep breaths, engage in a few vocal warm-ups, and remind yourself why you deserve to be here. Picture your energy in your mind as a big ball of glowing slight. Imagine that energy spreading through every part of your body, until you’re glowing with energy. Once you’ve achieved this visualization, walk into the audition room. You’ll be amazed at how energetic and focused this visualization technique can make you. Want to learn more secrets for mastering the commercial audition? Then discover Carolyne Barry’s acting workshops at her talent school in Los Angeles, California. Discover her commercial course availability here. You can also reach her directly at (323) 654-2212. When it comes to landing plum roles in movies and television shows, your ability to conjure up different emotions in an instant can make or break your success. After all, you only have a few minutes to impress casting directors at auditions – and if you can’t conjure up certain emotions with a snap of your fingers, you might end up missing out on great parts. So what’s the answer to this problem? Simple: Learn the Meisner acting technique with Carolyne Barry, a master talent teacher based in the Los Angeles area. Students of Carolyne Barry and her fellow teachers – including notable names on the screen and on the stage – have been lining up to experience the transformative powers of the Meisner acting technique. The Meisner technique is a unique acting skill that helps students learn how to tap into their emotions on demand. For actors who need to cry on demand or demonstrate absolute joy within the space of a few seconds, the Meisner technique can provide them with the tools and techniques they need to succeed. Thanks to the Meisner technique, more actors can display the kind of range and skill that helps book shows and movies. The Meisner technique focuses on cultivating the actor’s skills and emotional freedom to expand the imagination, which is an actor’s greatest tool. The goal of this technique is to take the pressure off to “perform,” meaning a performance will be more natural than simply mimicking certain emotions. Meisner work focuses on expanding the actor’s ability to listen, respond, and live truthfully in every moment, utilizing basic repetition exercises that form the foundation of Sandy Meisner’s technique. Students who want to master the Meisner technique will be delighted to discover a range of classes for beginners, intermediate performers, and even advanced Meisner actors. Meisner acting classes are taught by a range of professionals, all of who have dozens of acting credits to their own name. Whether you want to light up the stages of Broadway or want your own star on the Hollywood Boulevard, sign up for one of Carolyne Barry’s Meisner acting workshops at www.carolynebarry.com. If your goal is to become an actor or actress, chances are you want to hone your craft with the best of the best. That’s why more acting students are lining up outside the classrooms of Carolyne Barry, a master talent teacher with over 100 TV and movie credits to her name. Based in Los Angeles, Barry has been teaching students how to build and thrive in their careers as actors and actresses. From commercial acting, hosting, professional acting, and musical theatre, Barry has helped hundreds of students launch their careers to the stars. Improvisation: This popular class commonly runs out of space, and for good reason – students are clamoring to learn the skills that can help them think on their feet in the midst of scenes. With the rise in popularity of “improv” movies (for example, comedies that use a lot of improvisation in their scenes), it’s more important than ever for students to be quick-witted and lightning-fast with their acting. Improvisation classes are led by Donovan Scott and Greg Hoyt. Auditioning: One of the hardest things about acting is the auditioning process. In just a few minutes, you have to convince casting directors why they should pick you for a role. In Barry’s Auditioning workshop, students learn how to quickly create characters that will entice casting directors to choose them. This can also help students learn how to calm their nerves and prepare themselves for the auditioning process. In addition to signing up for these two classes, many students are buying copies of Barry’s “Hit The Ground Running”, which was recently nominated by Backstage Readers as their Favorite Acting Technique book. 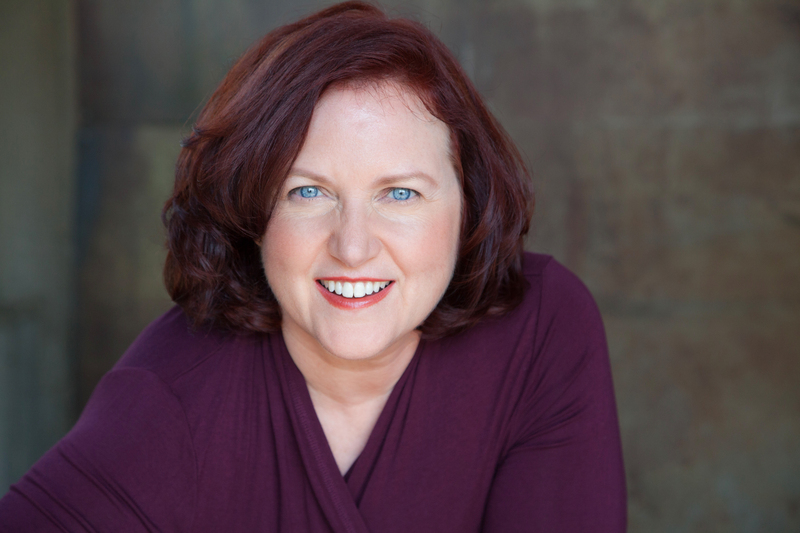 In this book, Barry shares her decades of experience to help actors learn how to find agents, master the audition process, and grow their brands as top-notch actors and actresses. To learn more about Barry’s available classes for the 2014-2015 year, visit hhttps://carolynebarry.com/workshops/. If you’ve caught the musical theatre bug at your favorite Broadway show – or even from binge-watching hit shows and movies like “Glee” and “Pitch Perfect” – you’ll be excited to learn that master talent teacher Carolyne Barry is offering a new musical theatre class. This comprehensive eight-week workshop is led by none other than Michael Donovan, a casting director for film, theatre, television, and commercials and six-time winner of the Casting Society of America’s Artios Award for Outstanding Achievement in Casting. This workshop is designed to provide actors and actresses with the elements they need to stand out during auditions. With the guidance of Donovan’s years of experience, students will identify their ideal audition material, appropriate roles, “looks”, packaging, and marketing strategies. This ensures that students will be memorable on stage, catching the attention of casting directors of major musical theatre shows. In addition to refining audition techniques, Donovan will also work with students on rehearsed pieces, as well as cold readings. In two of the workshops, students will have their auditions recorded, so they can get a better idea of how they sound and look during the auditioning process. In the last workshop session, Donovan will bring in a theatre agent to give feedback on presentation and skills. 1st Session: Each Student will be recorded on-camera doing a song (with our accompanist) and short monologue. Feedback and instruction will be given. 2nd Session: This night will be dedicated to the specific roles and songs best suited to each participant. Resume’s, pictures, hairstyles and wardrobe choices will as be evaluated as well as the best theatres to target will as be suggested..
3rd and 4th Sessions: Students will be performance coached (with our accompanist) on their audition songs. 5th Session: Rehearsed audition monologues will be worked on. 6th Session: Rehearsed Audition scenes will be worked on. 7th Session: Cold Readings of monologues and/or scenes will be recorded on-camera and evaluated. 8th Session: Industry night. Each student will perform a song and do a reading for a theatre agent and a theatre director and then get their feedback. The musical theatre class is set to begin on October 6th 2014; the workshop will run for 8 weeks, with classes starting at 7:30 and lasting until 11:00 pm. The workshop space is limited, as only 18 students can sign up. The workshop costs $595; payment plans are available. You can check out the music theatre class details here and our full class calendar here. To learn more or to sign up please call (323) 654-2212 or leave us your information here.